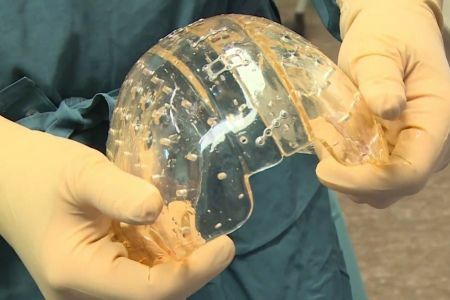 Neurosurgeons in the Netherlands made new plastic 3D printed skull to save life of a 22 year old woman, suffering from a rare bone disorder. 3D printers keep coming in handy for more and more purposes. 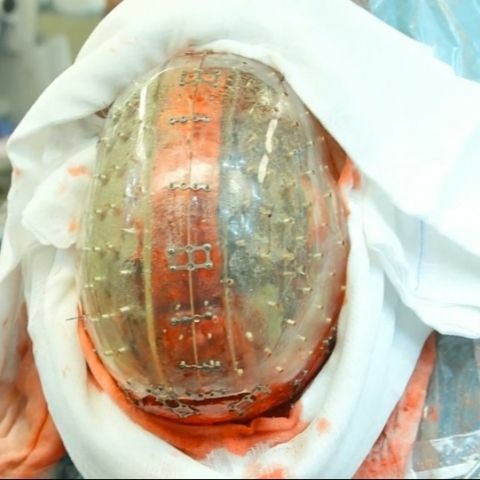 A woman in Netherlands, suffering from a rare bone disorder, got her skull surgically replaced with a 3D printed plastic implant. A team of neurosurgeons at the University Medical Centre Utrecht performed the surgery. According to the university, it was the first time 3D printed cranium was not rejected by the patient. The operation took almost 23 hours. The woman was suffering a chronic bone disorder that caused thickness of her skull increase to 1.5cm to 5cm. "It was only a matter of time before critical brain functions were compromised and she would die," said lead surgeon Dr Verweij. Major surgery was necessary, but prior to the 3D printing technique, there was no proper effective treatment. The 3D implant was made using an unspecified durable plastic. According to the university, the patient has recovered since the operation. However, it's not known yet the plastic will need to be replaced in the future or not. The successful operation has encouraged doctors to adopt the technique for patients with similar bone disorders or to repair seriously damaged skulls, such as in case of accident or tumour. 3D printing technology is being used in medical sector for quite sometime. Three years ago, a UK man had his pelvis replaced with 3D printed in titanium. In 2011, a patient in Belgium got a 3-D printed titanium jawbone replacement.